Beulah House - Bed And Breakfast Bed And Breakfast 94 Crabble Hill, Dover CT17 0SA. Beulah House - Bed And Breakfast, 94 Crabble Hill, Dover CT17 0SA. Rated 4-stars by the AA, we are ideally located within 5 minutes of the port and cruise liner terminal, only 10 minutes from the Channel Tunnel. We have 2 conservatories overlooking the gardens where you are invited to relax in the lovely gardens. This is a non-smoking guest house. 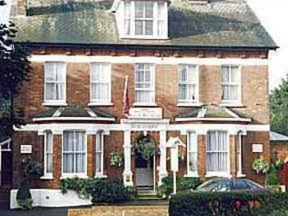 Hotels in Dover: Beulah House - Bed And Breakfast, 94 Crabble Hill, Dover CT17 0SA.